The Cuisinart CPO-800 + Free 2-Pack Charcoal Water Filter deliver gourmet, coffee-bar quality flavor. This precision brewing technique provides superior flavor extraction, and has earned the respected SCAA Home Brewer Certification. Fully electric operation pre-wets grounds before brewing to let the flavor bloom. 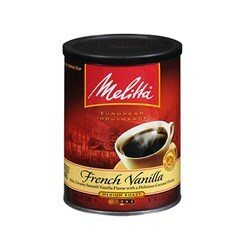 Temperature and strength lets you customize every coffee, and a unique laser-etched stainless steel filter helps to maximize this exceptional coffee experience. 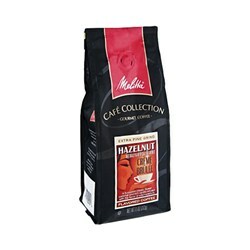 Available with Glass Carafe or Thermal Carafe. The Cuisinart Pureprecision 8 Cup Pour-Over Coffee Brewer with Free Filter has many exciting features for users of all types. 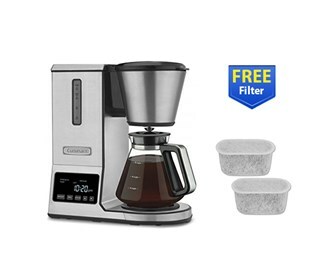 You can extend the lifetime of your Cuisinart Pureprecision 8 Cup Pour-Over Coffee Brewer with Free Filter with the purchase of a FactoryOutletStore Factory Protection Plan. See the Cuisinart Pureprecision 8 Cup Pour-Over Coffee Brewer with Free Filter gallery images above for more product views. 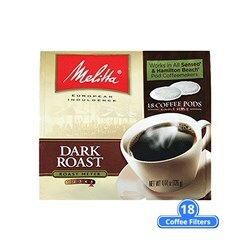 FactoryOutletStore stocks a full line of accessories like Melitta 60239 Hazelnut Creme Brulee (Single Pack), Melitta 60255 French Vanilla (Single Pack), and Melitta 75449 Soft Coffee Pods-Dark Roast (Single Pack) for the Cuisinart Pureprecision 8 Cup Pour-Over Coffee Brewer with Free Filter. 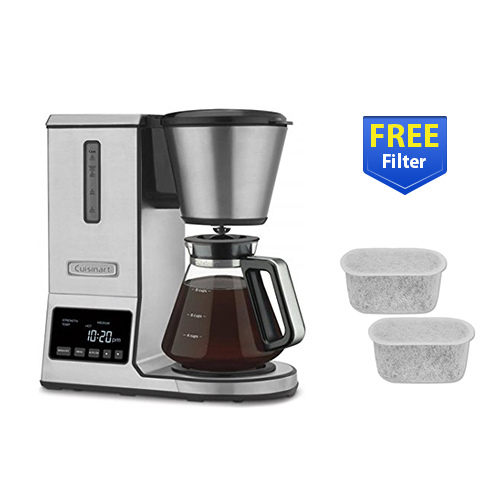 The Cuisinart Pureprecision 8 Cup Pour-Over Coffee Brewer with Free Filter is sold as a Brand New Unopened Item.